This Cat Silhouette Bookmark is approximately 7” / 18 cm long. Use any sport to worsted weight. 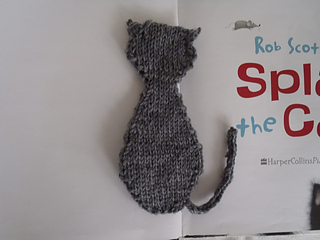 The bookmark might be fabulous even in sock yarn, but the gauge and finished size would be slightly different. 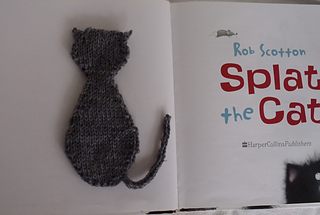 The Cat is knitted from the bottom to top in one piece in the round. 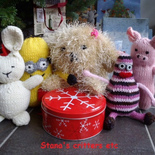 The stitches for ears are picked from the top sides. The tail is done in I-cord.